Our summer has been an exciting adventure in trusting God. We’ve seen God work in amazing ways! Leading up to this summer, God’s been emphasizing to us our need to depend on Christ by faith and prayer in everything we do. As Christians, we have the Holy Spirit inside of us. But too often we don’t invite the Holy Spirit to empower and direct us in our daily lives. Someone has said, “The Christian life is not difficult – it’s impossible.” Only one person has ever lived the Christian life, and that was Jesus Christ. Just as we can’t earn our salvation through good works, in the same way we can’t become better Christians by working harder. We come to Christ by faith, and we live the Christian life by faith. Every so often, Tammy and I take a few weeks away from our ministry assignment and reach out to find new partners who can join with us in supporting our ministry. 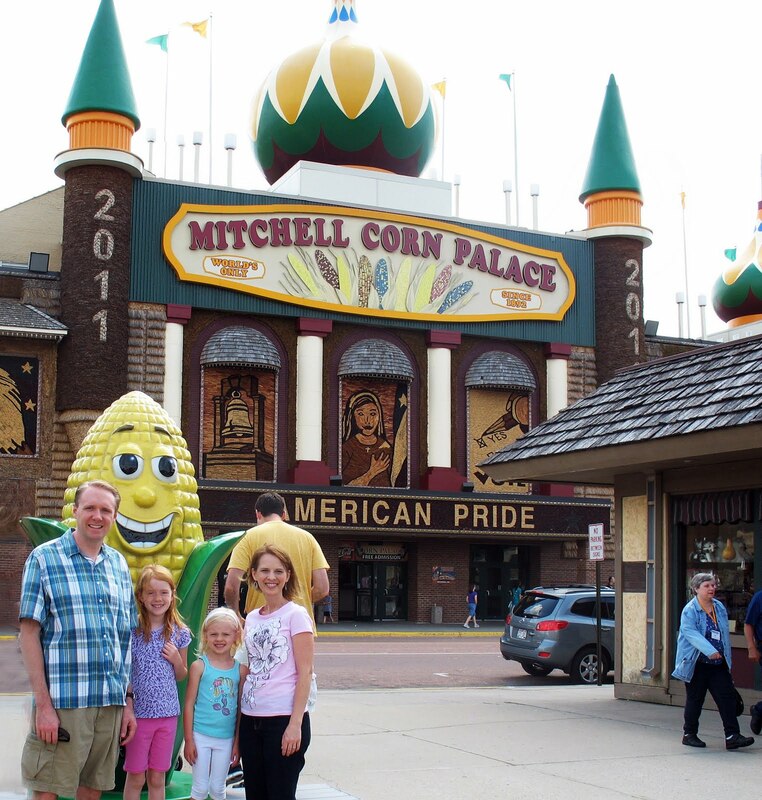 This summer we’ve been visiting Troy’s home town of Mitchell, South Dakota. One of the challenges of meeting with people is that it’s often difficult to reach people on the phone. People are busy enjoying the summer, we understand. One night, Tammy and Lindsey were out walking while I was making calls. Tammy asked Lindsey to join her in praying for daddy. Together they prayed for folks to answer the phone and that God would be working in people’s hearts. A few days later, we were reconnecting with some friends about our ministry. Our friend shared that she usually doesn’t answer the phone, but just lets the machine get it. But that night she answered the phone, and we were able to get connected that week! That same week, many people shared how God had put us on their heart, and they were thinking about supporting our ministry! God was definitely at work! How fun that our kids were able to see this first hand! It’s been 4 weeks now, and God has blessed us with 46 appointments, 8 new financial partners, and many more prayer partners. Not only that, but through our appointments, God used us to minister to many who were having a tough time. Also, we were blessed with the opportunity to clarify the Gospel with one couple. God led us to just the right people, and we give him all the glory.